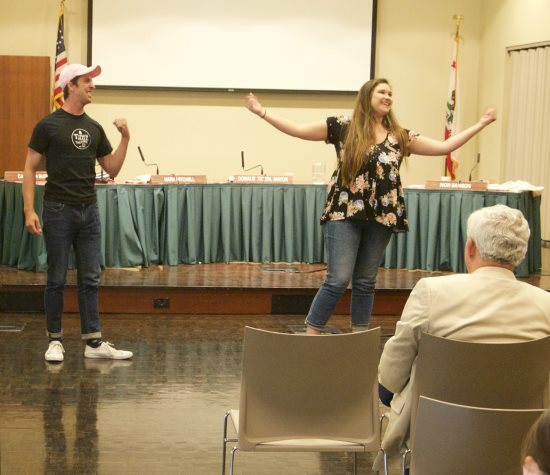 Providing somewhat more joy than has been seen lately in city council meetings, the Town Hall Theatre opened the meeting with sparkle and talent from its youth education program. 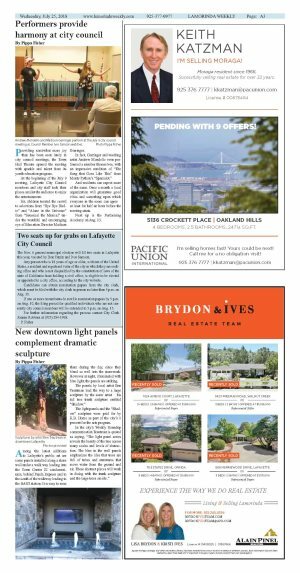 At the beginning of the July 9 meeting, Lafayette City Council members and city staff took their places amidst the audience to enjoy the entertainment. Six children treated the crowd to selections from "Bye Bye Birdie" and "Alone in the Universe" from "Seussical the Musical" under the watchful and encouraging eye of Education Director Madison Gerringer. In fact, Gerringer and teaching artist Andrew Mondello even performed a number themselves, with an impressive rendition of "The Song that Goes Like This" from Monty Python's "Spamalot." And residents can expect more of the same. Once a month a local organization will guarantee good vibes and something upon which everyone in the room can agree - at least for half an hour before the meeting starts. Next up is the Performing Academy on Aug. 13.